The Fantastic Four reboot continues to generate controversy amongst fans. 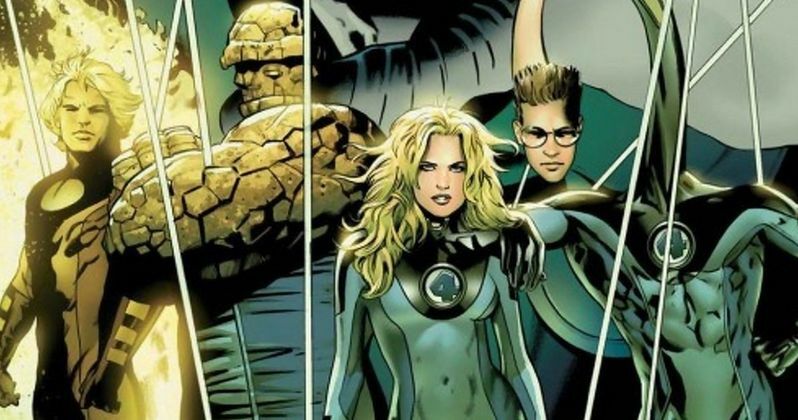 While director Josh Trank's (Chronicle; Untitled Star Wars Spin-Off) take on the Marvel property has long been thought to be an adaptation of the Ultimate Fantastic Four storyline, which brings a modernized re-imagining of the superhero team, star Kate Mara is now claiming that the upcoming franchise remake isn't even based on the Marvel comic books. Speaking with Esquire LatinAmerica, the actress had this to say about her role as The Invisible Woman, hinting that the The Fantastic Four is a true reinvention of the property. "I've never been a fan of comics, I've never actually read one. I was going to for this movie but the director said it wasn't necessary. Well, actually he told us that we shouldn't do it because the plot won't be based on any history of anything already published. So I chose to follow his instructions. The one fact is I am a fan of comic book movies, so it's very exciting to be part of a movie like this. I don't feel more responsibility with this role that I've felt with others. I understand that there are many fans of The Fantastic Four and I guess they expect a lot from me, but I prefer not to be pressured by that. We are also trying to create a new way of seeing these superheroes, I'm focusing on making her (Susan Storm) as real as possible. I was excited, but I only focused on doing the best I could. I think there are roles you get if that's what needs to happen. I kept everything in perspective although expected to stay with the paper, because the movie has great actors like Michael B. Jordan (who will be the Human Torch). The casting of the movie already hints that this will not be like anything seen in the previous comic books, even Ultimate Fantastic Four. Controversy first rang out when Michael B. Jordan, an African-American actor, was cast as Johnny Storm, aka the Human Torch. Miles Teller and Jamie Bell were later added as a young Mr. Fantastic and The Thing, two casting choices which also struck fans as odd choices. Only Toby Kebbell as Dr. Doom and Tim Blake Nelson as Moleman seemed to make the most sense. There's also the fact looming that this will be the first superhero film with found footage elements, though its not yet apparent how heavy that influence will be. Its been rumored that we'll get our first real look at Josh Trank's The Fantastic Four when the cast and filmmaker make a surprise appearance in Hall H Friday, July 25, for 20th Century Fox's big panel. That's not confirmed to happen. But maybe, if it does, we'll have a clear understanding of what is actually going on with this franchise.